Our Everton in the 80s section continues with a look at the crucial World Cup qualifiers for the FIFA showpiece event in Mexico 1986. 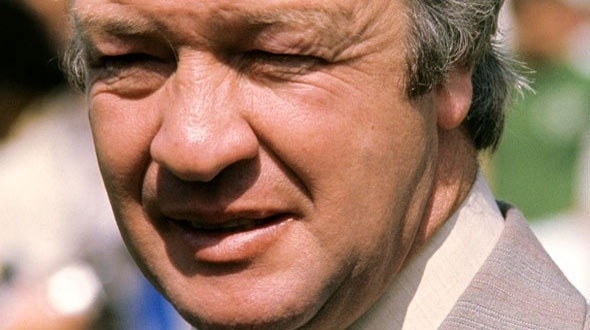 With England already secure in the knowledge that they would be travelling to Central America in the summer, Northern Ireland, managed by former Everton player and manager, Billy Bingham, travelled to Wembley knowing a point would be enough to see them qualify. 13 Nov 85: Northern Ireland keeper Pat Jennings is the man of the match in his record 113th appearance as he helps his nation qualify for Mexico 86. 13 Nov 85: He kept a clean sheet as Northern Ireland got the point they needed at Wembley to qualify ahead of Romania. In terms of Everton Gary Stevens, Paul Bracewell and Gary Lineker played the full 90 minutes and came through unscathed. Kevin Sheedy was replaced by Michael Robinson as Eire crashed to a 1-4 home defeat to Denmark. The YouTube clip below features that evenings report on the game and includes the jubilant Irish celebrations led from the bench by Billy Bingham. Next Post Clint Dempsey to offer alternative to Barkley?